June 25, 2012 – Congress needs to send a strong, bipartisan VAWA, that safely and effectively meets the needs of all victims, to the President. Congressional leaders must hear our strong and united message once and for all: your work on VAWA is not over. We have too much at stake and doing nothing is not an option. Let’s send a national unified message to Congress to pass a strong, bipartisan VAWA that safely and effectively meets the needs of all victims – NOW! Participate in the Day of Action on Tuesday, June 26th to reauthorize VAWA – call your members of Congress and use social media! Call your Senators and Representatives and insist that they pass VAWA as a matter of urgent priority. 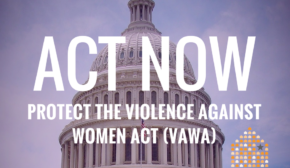 When you call, tell your Members of Congress: “I urge you to pass a strong, bipartisan VAWA reauthorization bill that safely and effectively protects ALL victims of violence – NOW. VAWA has positively impacted me/my community in the following way [insert personal story]. By reauthorizing a strong VAWA reauthorization bill that protects all victims of violence, VAWA programs and services can continue to serve victims and make our communities safer. Visit NNEDV’s Legislative Action Center to take action and provide us with feedback about your calls. Join National Day of #Action4VAWA! Call your Congress member @ 202-224-3121 today! [Insert your Congress person’s Twitter handle] #ReauthorizeVAWA for ALL survivors! Stand up to take #Action4VAWA! If you are in Washington, DC, join us for a national rally on June 26th on Capitol Hill. 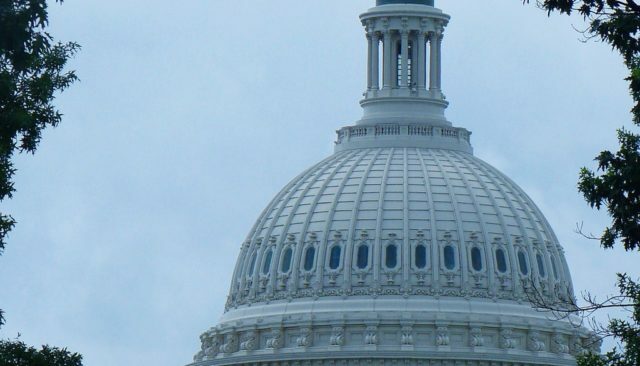 Advocates will gather at the U.S. Capitol to directly call upon Congress to reauthorize VAWA now.